It's all out war when Teen Titans Go! meet the Powerpuff Girls. Ok, maybe war is not the right word, more like fun collaboration time as the two Cartoon Network shows come together to take on Mojo Jojo and his villainous plan. Appearing on 'Titans' in June, the evil monkey comes to town causing trouble so the Powerpuff Girls help the Titans battle their nemesis. If Cyborg and Beast Boy can stop admiring Mojo Jojo for being a cool talking monkey long enough to take him down. 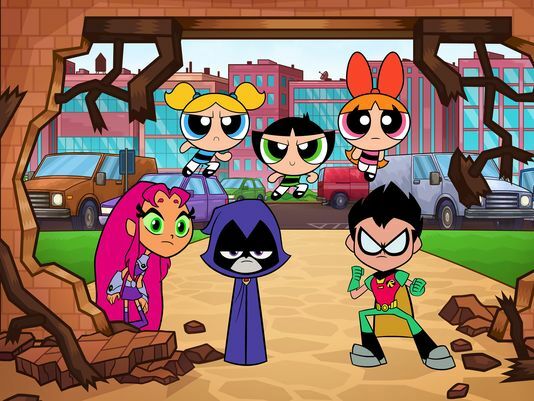 "Jump City will never be the same when our little superheroes Blossom, Bubbles, and Buttercup meet up with the Teen Titans for the very first time. When these two worlds of superheroes collide, it will surely be something to remember," says Powerpuff Girls executive producer Nick Jennings.